The Laramar Group announced a major acquisition in Southern California earlier this month. With the purchase of Los Angeles-based JB Partners Group, the company assumed management of 7,000 new third-party owned units, adding 77 properties and 170 employees with the merger. It’s the latest significant uptick in what has been a steady several years of national growth in inventory for Chicago-based Laramar Group. CEO Jeff Elowe has worked in multifamily since 1989, and has charted the course for Laramar as the firm invested $3 billion in real estate, primarily multifamily and retail assets. 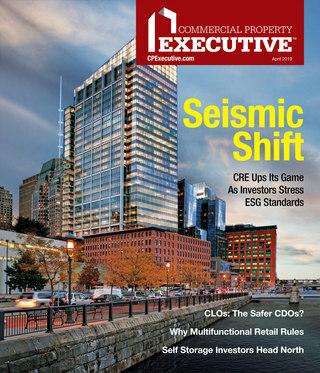 Elowe, who was recently named Entrepreneur of the Year by Ernst & Young for the Mountain Desert Region, talks to MHN Contributing Editor Leah Etling about the company’s strategy and gives us his take on the multifamily industry now. The Laramar Group came out of the economic downturn in a strong position as a third-party manager and owner. How has the last year been? Are you still seeing growth, and in what asset sectors and markets specifically? We used the downturn as an opportunity to grow, especially our third-party management business. We grew by two and half times. We really took on a lot of meaty assignments that led to a more institutional third-party management business. We’re in 26 markets, so we expanded from about 15 to 26 markets, with a distinct focus on major markets, such as Los Angeles, where we now manage in excess of 8,000 units. It’s a very big target market for us, and we acquired a property management firm there. We really grew on a national basis and established Laramar as a highly recognized, go-to property manager for institutions, lenders, and servicers. Denver has been an especially strong multifamily market as of late, and that’s your home turf (the company’s property management team is based there). Give us the rundown on what’s happening on the ground there with development, demand and rents? Denver’s a great, high-demand market. There’s a fair amount of supply that is now being delivered and coming out of the ground. Interestingly, it’s getting absorbed quicker than was originally projected. It’s top five in rent growth year-to-date, which is a pleasant surprise, and it seems to counter the original fear that all the units coming online downtown was going to be a problem. Having said that, rents are slowing a bit. It’s nothing at this point to be concerned about. What’s contributing to the faster-than-expected absorption? The energy boom in the Dakotas and the central part of the country is driving employment and having a positive impact on Denver. It’s provided a significant employment boost for not only the energy employment corridor, but trickle down as well. We’re seeing a lot of positive employment growth. 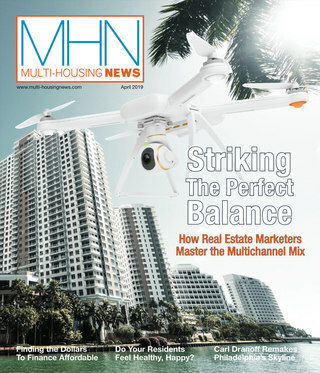 What’s your multifamily forecast for the next 12 months? Will we see a drawback in rent increases as so many are predicting, or are things going to stabilize for a while? It’s all about supply and demand. At some point there’s got to be a slowdown. I think we’re already seeing that in certain markets such as Washington, D.C./suburban Maryland. In other markets such as Charlotte and Austin, I’d anticipate slowing down just by virtue of more supply impacting the demand. It’s a matter of the development pipeline that occurs in 2015 and 2016, not necessarily this year or 2014. New household formation has been a hot topic lately, and it’s still lagging behind expectations. Has this impacted you, and do you have any creative ways to approach it? New household formation has affected us in a positive fashion. Our portfolio is 96.7 percent occupied, so that’s a terrific number. Household formation has been strong in our markets. There are 4 to 5 million younger people between the ages of 18-34 who are still living at home. That number jumped from 18 million to in excess of 22 million during the recession. The anticipation is that they’ll begin moving out and likely into apartments. It’s a very important factor to watch carefully. As you’ve worked with multifamily assets that need to be repositioned or rehabilitated, what have you found to be the most important value propositions to bring to struggling properties, whether they are physical fixes or marketing/identity overhaul needs? No. 2 is services and amenities. We generally have succeeded at “over-amenitizing” properties, giving individuals and families an opportunity to have some really neat things, from gaming rooms to very significant exercise facilities, jogging paths, you name it. We do wine tasting events, we like to support the social aspect and create a very strong sense of community. Lastly, technology. We’re a huge believer in technology and always look to be as cutting edge as possible. We offer free Wi-Fi at properties, an alternative to cable access. I find it pretty cool, and think everybody else will, too. We use social media to communicate and have resident portals where we motivate our residents to join and communicate with us. Laramar is known for having a progressive technology platform. Tell us about what you’ve been implementing and improving recently. The most progressive thing we’ve been working on lately is our data cube, which is an internal database where we’re able to bring in all the information from our various platforms. We can slice and dice it for business intelligence and predictive decision making by our staff. It’s forward-thinking software. A group of us sat down and said, OK, how can we use all of the data that we’ve collected for the last 20 years and be able to help our team predict leasing patterns, traffic, staffing and demand. It’s something we’re about to put into place that we’re excited about, and the results should be pretty interesting. Congratulations on being named Entrepreneur of the Year by Ernst & Young for the Mountain Desert Region. When you started your career, you planned on being a doctor. What are the key lessons about entrepreneurship that you’ve picked up during two decades in real estate? The biggest is persistence. You have to be persistent and have the strength to see things through, and go through economic cycles with creativity and optimism. You have to use the experience from prior cycles to understand how to grow and where to focus during slower cycles. We have a very nimble, highly experienced executive team that has been together for almost 14 years. We’re able to adapt very quickly and be a market leader in many respects. The people. I think I’m very fortunate because the partners in our firm are friends. We socialize and travel together. We enjoy one another. Not every day is a good day, but we work through things, and we’ve had a lot of success as a result. You recently told a Denver business publication that if real estate ever stopped being fun you’d “move onto something else.” What are some of your other interests, business and personal? I would immediately try to be a ski patrol guy. I think that would be a great job to have.